24th Street Theatre is a professional theatre and arts center that has been bringing music, theatre, dance and visual art to Exposition Park and Greater Los Angeles since 1997. 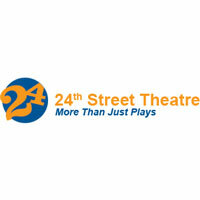 24th Street Theatre is an arts organization like no other. Built in 1928 as a carriage house, these walls were once home to the working horses of grand Victorian homes in this neighborhood, many of which still stand today. Thus, this historic old building has always served a useful purpose – in its past and now in its present.